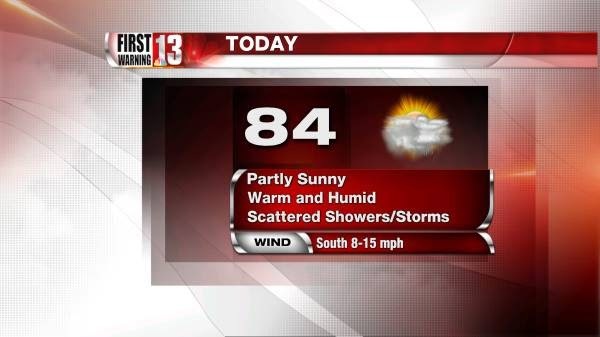 With today looking like another scorcher in Schoharie County, the National Weather Service has issued a Hazardous Weather Outlook for the Schoharie Valley for the rest of today and into the evening. Scattered thunderstorms are expected through this evening. A few thunderstorms could be strong, with small hail and gusty winds. There is a marginal risk for damaging wind gusts of 58th mph or greater. Locally heavy rains and frequent lightning are also possible. Scattered non-severe thunderstorms are expected Tuesday.